After all the rich food and alcohol that you have enjoyed during the Christmas and New Year period I guess that most of us have returned to work full up and feeling unhealthy. The appalling weather over the festive break was hardly conducive to exercising was it? Businesses can look really unhealthy too. Bursting at the seams and unhealthy with an uncared for pallor. What is the first thing that greets you when you walk back into your office or business? Piled up boxes of last year’s financial records (or older!) or customer files that are cluttering up the place using up precious space and presenting a depressing first impression to customers and staff? Fear not!! I can offer you a solution to the chronic “paper constipation” that is gripping your business and it will free up desperately needed space that you can use to grow your business that you are already paying rental for and which is currently occupied by ‘dead’ storage. 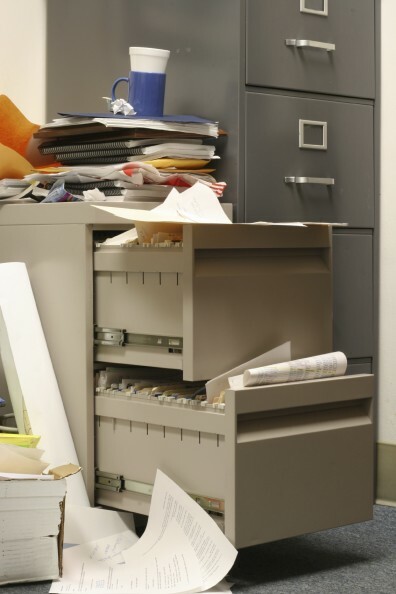 We can provide the full ‘cleansing’ service – from physically taking the files or records off shelves or out of filing cabinets, boxing them and taking them away to be converted to scanned images, stored in our fully barcoded purpose built warehouse or even security shredded if necessary. So start your year with a fully ‘irrigated’ storage system. You will feel much better for letting us take all your waste material away. Remember that in recessionary times only the fit survive and we all know that the best time to expand is during a recession. You would thus be ideally placed to take advantage of the improving market in your business sector by having a fitter and more streamlined business for when the growth starts – more space and a less cluttered working environment. To make our ‘colonic irrigation for business’ even more attractive we are offering competitive introductory document storage rates for new clients who quote this blog when they call us on 0800 008 7229. So, don’t delay – get your business cleaned out today by the document storage experts at Scan Film or Store.